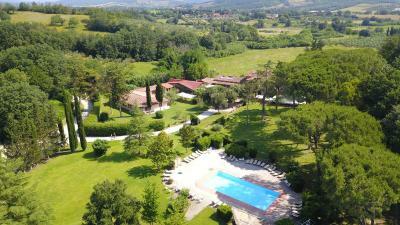 Lock in a great price for Montebelli Agriturismo & Country Hotel - rated 8.2 by recent guests. Wonderful place like a heaven in nature, beautiful pool area, delicious breakfast, very friendly staff, especially owner Alessandro. Possibility for kids to ride horses. Do not miss the barbecue under the stars! The location and the fact there was a pool and bikes. 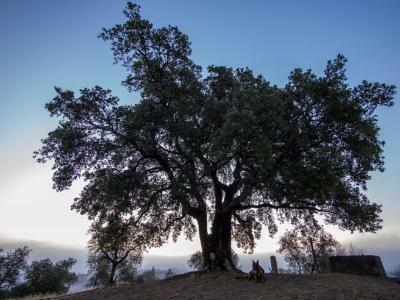 Posizione dell ''agriturismo molto bella. Immerso nel verde, ci sono cavalli , pony , cani . Staff molto gentile e disponibile . Ristorante molto buono. Camera pulitissima . Consigliato ! La struttura è inserita in un ambiente tranquillo e rilassante, immersa nel verde dove i bambini possono giocare in tranquillità. Le camere sono grandi, pulite e caratteristiche. Lo staff è accogliente e la cucina è ottima. In più c'è il centro benessere per coccolarsi un po'. Un posto ideale per staccare dalla vita movimentata della città. Location immersa nella natura e ben curata. Propongono percorsi di trekking che hanno panorami stupendi. Gorgeous views and wonderful ambiance! Amazing owner: warm, kind, and thoughtful. 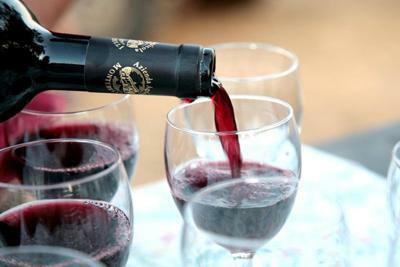 Fantastic staff, excellent chef, excellent food and wine (from the estate’s vineyards). Magnificent value. Abbiamo trascorso l’ultimo dell’anno presso il Montebelli, con cenone incluso. 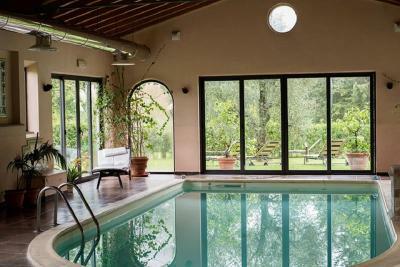 La struttura è immersa nel verde, con piscina riscaldata al coperto nella spa, che include bagno turco e sauna. Piscina allo scoperto e campi da tennis, una struttura con diversi tipi di alloggi dal più basic fino alla suite. 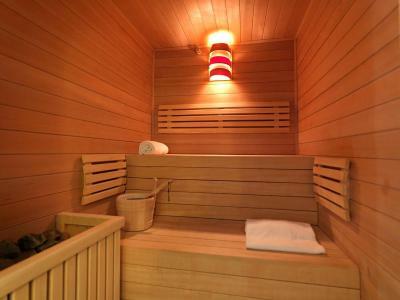 Il basic ti fa sentire in un agriturismo, con mobili in legno, e coperte piu antiche che sostituirei, ma per il tema va benissimo. 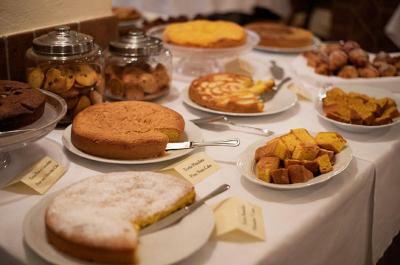 Colazione ricca e variegata, il cenone è staff sublime dal servizio alla qualità del cibo. 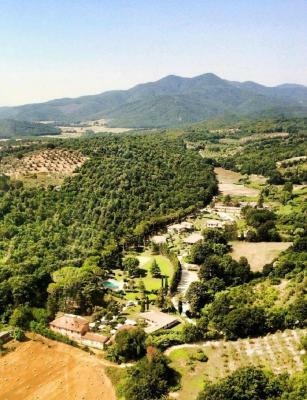 One of our top picks in Caldana.Montebelli extends over green Tuscan valleys with olive groves and vineyards. 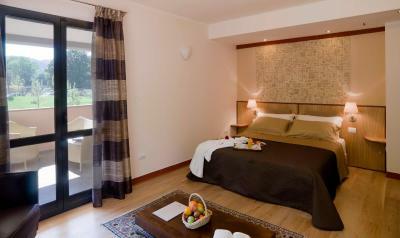 Here you will enjoy delicious food, luxurious rooms, and wellness and sports facilities. Parking is free. Somatic coaching programs can be organized on request. This property also has one of the best-rated locations in Caldana! Guests are happier about it compared to other properties in the area. 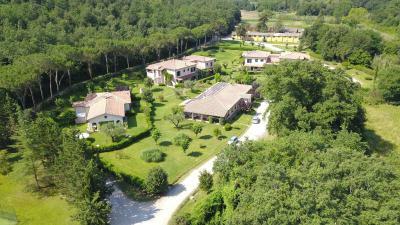 Montebelli Agriturismo & Country Hotel has been welcoming Booking.com guests since 5 Mar 2010. 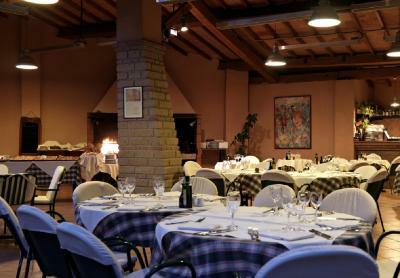 When would you like to stay at Montebelli Agriturismo & Country Hotel? 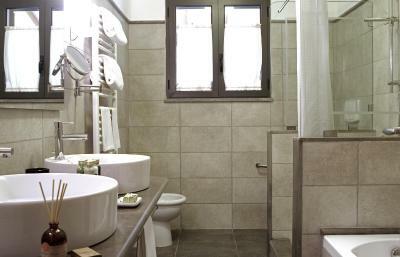 Located in the Agriturismo, this room features antique Tuscan-style furniture. 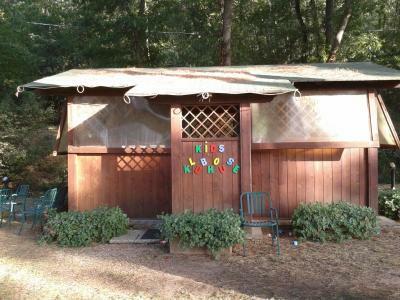 It includes a TV and a private bathroom. This room comes with heating but it does not have air conditioning. Located in the Agriturismo and close to the restaurant and bar, this smaller room features antique Tuscan-style furniture. It includes a TV and a private bathroom. 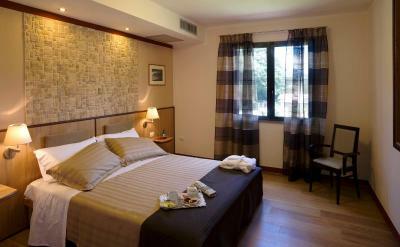 This twin/double room features air conditioning, minibar and sofa. Our ambition was to create a place that would reflect a few simple core values: love for nature, care and respect for people. 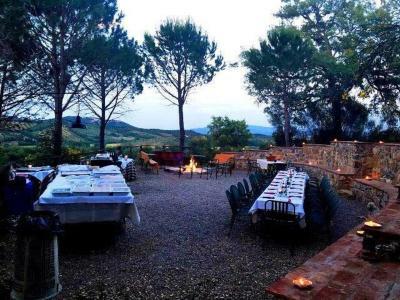 We strive to make your holiday in Tuscany an emotional experience. 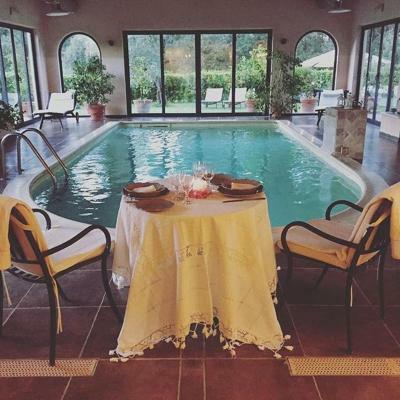 House rules Montebelli Agriturismo & Country Hotel takes special requests - add in the next step! Montebelli Agriturismo &amp; Country Hotel accepts these cards and reserves the right to temporarily hold an amount prior to arrival. Montebelli Agriturismo & Country Hotel accepts these cards and reserves the right to temporarily hold an amount prior to arrival. Please note that the wellness centre is open from 16:00 until 20:00 and is free of charge. Children under 16 years are not allowed in the wellness centre. There was no air con which should be considered for future guests. The room had cobwebs and dirty floors. There seems to be little maintenance with weeds in the patio area of pool. The room was only decorated on the bottom half. 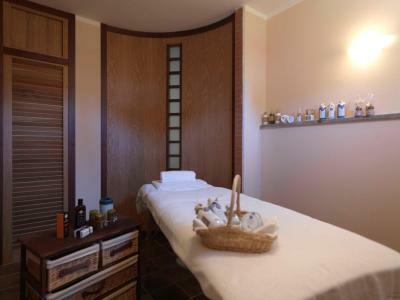 Very relaxing experience with excellent staff. It was perfect for our family. Very bumpy and dusty drive. We thought we'd got the wrong place as the entrance wasn't well sign posted. Other guests said the same thing. Rooms at the "Agriturismo" Building are old. Breakfast a little bit <<standard>>, there isn't the Tuscany taste. 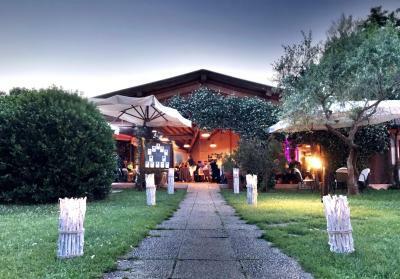 Restaurant on sunday evening offered a "Pizza Buffet", we were not interested.... as with the breakafst "Pizza Buffet" is not exactly what you expect to find in a Maremma Farmhouse Restaurant. Unfortunately the agriturismo part of the hotel didn't have air con and the second room we were put in (first room we got locked in!!) had really poor lighting. 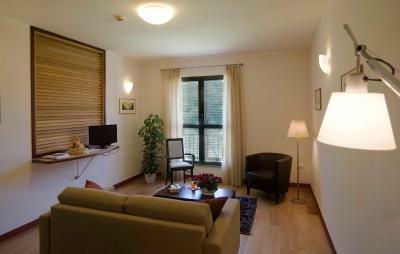 When booking on your website it's not completely clear that the deluxe rooms are situated in the "hotel" part and that the standard rooms are in the agriturismo part. Loved the surroundings it was situated in. Spa pool and outside pool were fab. The staff were incredibly friendly and helpful. Breakfast was included and there was a fantastic selection of foods. Breakfast could have a been a little better, but we were off season so maybe why.